La Gomera, one of the seven Canary Islands, is located in the east side of the Atlantic ocean. It has a surface of 369,76 km² and its population is around 21000 inhabitants (it is the second less populated island, after El Hierro). The island of La Gomera is also well-known as the colombina island due the stop that Columbus made in his trip to the New World in 1492. In the center of the island is located the National Park of Garajonay, declared World Heritage by Unesco in 1986, with the Garajonay peak as the highest point. The island is considered Reserve of the Biosphere since 2012. In its capital, San Sebastian de La Gomera, is located the main harbour that offers ferry conections to Tenerife and La Palma. And it is also used as a stopping point for several cruise companies. The airport of La Gomera is located in the south part of the island, in the small village of Playa de Santiago. The economic development of the island is focused in tourism. The main touristic villages are Valle Gran Rey, Playa de Santiago and San Sebastian. 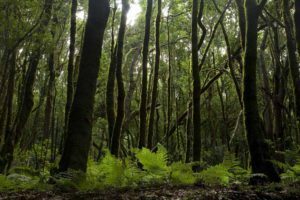 La Gomera has became a destination to get in touch with nature because of the beauty of its landscapes and nature, and the quietness of its people. 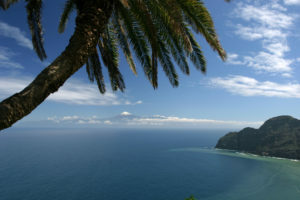 The climate in La Gomera is similar to the rest of the Canary Islands, a mixture of subtropical moderate. The island has two principal climate types. In the north face the temperatures are cooler due to the alisios winds and the humidity in this area is higher than in the south part of the island. The climate mixes sun and clouds. In contrast, in the south area of La Gomera, the warm winds rise up the temperatures and the weather is sunny and hot most of the time. Therefore La Gomera has moderate and mild climate, with a constant average temperature of 22 degrees the whole year. This is the reason why you can visit the island in any season. In Winter and spring you will find a green island with colourful landscapes meanwhile in summer and autumn the temperature invites you to have a bath in the sea. The National Park takes its name from the leyend of two lovers: Gara from La Gomera and Jonay from Tenerife. Their families did not accept their love, so they decided to end their lives by sticking a wooden spear and jumping from the highest point of the island. The Garajonay peek with 1487 m is the highest point in the island and it is located in the centre of the National Park. The Garajonay National Park is a laurisilva dense forest that covers a extension of 4000 ha (11 per cent of the island). It is often surrounded by a sea of clouds that provide the forest the humidity that it needs to survive. In Garajonay forests you can appreciate different types of plants and vegetation. In the areas with less humidity you can find the Dry Heath Fayal, with predominant species such as the Mocan, the Palo Blanco, the Barbusano and the heather. In the forest that are facing the north you will find valley laurisilva, with huge Viñátigos and Tiles. Due to the richness and variety of habitats, there is a wide fauna inside the National Park consisting of invertebrates, vertebrates, some amphibians, reptiles and birds. Many of these species are considered as endemic ones in the island. A wide network of infrastructures, facilities and services besides many viewpoints and well marked trails offer the visitor the possibility to know Garajonay National Park and enjoy its beautiful corners.